So true!! and acorns, and the odd leaf ;) it's the perfect time for finding treasures out and about. We're far from Sandy, on the West coast of Canada, so we're fine. 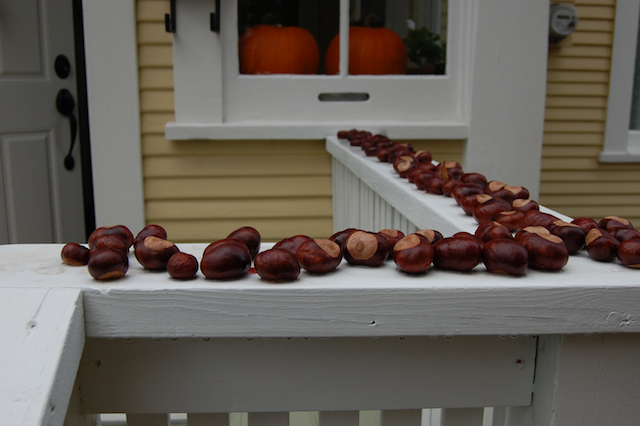 It's peaceful enough to be picking up chestnuts!